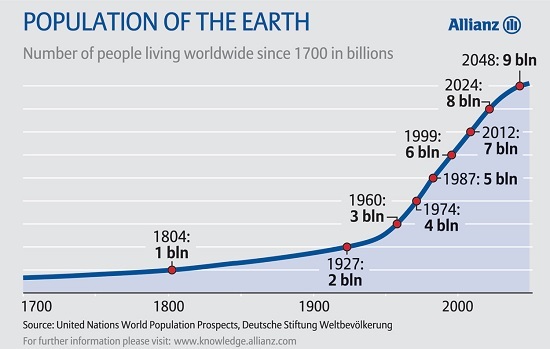 A few charts help us grasp the magnitude of the four global time-bombs. The geopolitical and financial risks facing the global economy are well-known.Hot wars and currency meltdowns garner headlines around the world. 2. The public health time-bomb. 1. 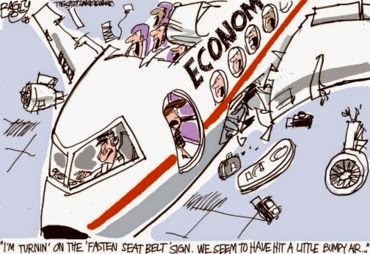 The demographic time-bomb: as the global economy melts down, the realization that the pensions and healthcare promised to hundreds of millions of elderly cannot be funded out of tax revenues will upend the social contract in countries rich and poor. 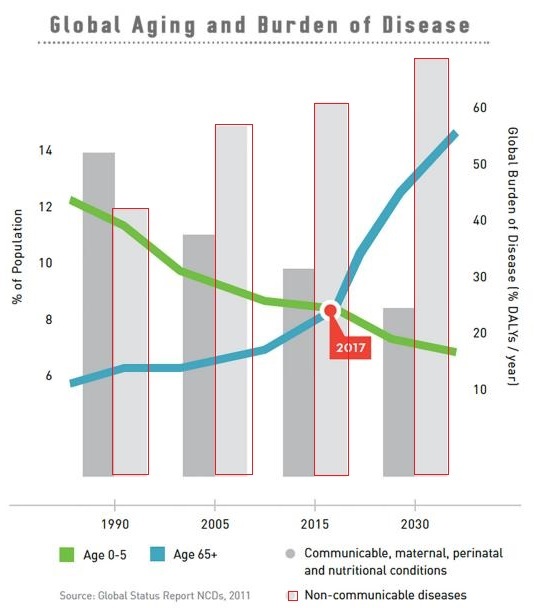 As the chart below depicts, as the population of elderly rise, so do the non-communicable lifestyle diseases of aging. The costs of treating these lifestyle diseases (metabolic syndrome, heart disease, high blood pressure, etc.) soar as the population and incidence of these diseases both rise. 2. The public health time-bomb: 100 million diabetics and 500 million pre-diabetics in China, 80 million diabetics and hundreds of millions more pre-diabetics in India, and another 100 million diabetics in the developed world will overwhelm a global healthcare system that is already struggling to provide care for an aging population. 3. The food/water/soil time-bomb:the world's success in feeding its exploding population of humans and their favored animals has generated a complacent confidence that we can always grow more food, even as the weather gets increasingly wonky and global supplies of fresh-water are strained to the breaking. Loss of soil and the depletion of mineral fertilizers are also global issues. It's not just the rising number of human mouths to feed--it's the rising appetite of humanity for grain/protein-fed animals and fish. Raising livestock requires abundant fresh water and feed. Even the most efficient meat sources (other than insects, of course) require three or four times their weight in feed; less efficient meat sources need ten times their finished weight in feed. Fish such as salmon don't live on algae--they eat other fish. Their fish food is rich in protein, and so in effect, salmon and similar farm-raised fish sit atop a food-chain pyramid. The risk that multiple crop failures around the world could strain global grain supplies and trigger geopolitical crises as costs soar are under-appreciated outside agricultural policy circles. 4. The oil-export time-bomb: as the populations of oil exporting nations rise, they consume so much of their dwindling oil production that there's little left to export. The technologies of fracking have given oil/gas production in the US a mighty boost, and this may well continue increasing supply for a time. But the larger global energy picture is dominated by the Export Land Model, which describes how oil exporting nations, which typically have rapidly rising populations and undiversified economies dependent on oil exports, begin consuming more of their oil domestically while production stagnates. The net result is there may be plenty of oil still being pumped, but very little is available for export. That leave oil importing nations without enough energy to sustain their industrial economies. While it's possible to invest enough in alternative energy to keep some infrastructure working, globally, total alternative energy is a scant few percentage points of total energy consumption. Even if we take global leader Germany, famous for generating large quantities of electricity from alt-energy sources--is Germany ready to replace its vehicle fleet with electric cars and trucks? How about building enough alt-energy capacity to recharge 30 million vehicles? That is quite a tall order for a wealthy industrial power. What sort of challenge awaits the 2.6 billion residents of oil importers China and India? 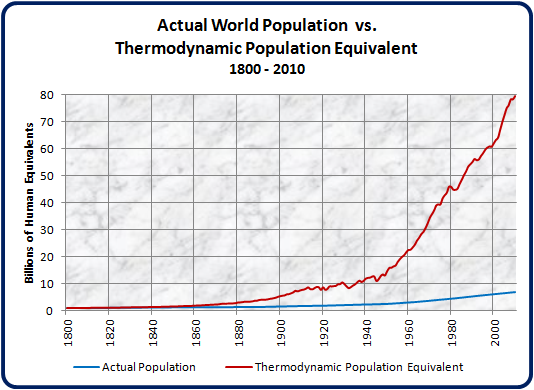 This chart of the thermodynamic (i.e. energy) population equivalent--the human population plus our billions of energy slaves-- reveal the staggering size of industrial civilization's reliance on fossil fuels. Many people look to technology to solve these problems before the bombs go off. Perhaps miraculous advances in artificial photosynthesis and biochemistry will solve all these global crises. But a healthy skepticism is in order, for all sorts of wondrous technologies that work in the lab and small-scale experiments fail to scale, i.e. become cheap enough and reliable enough to spread quickly around the world. Technologies require vast quantities of capital and energy to spread throughout the global economy. 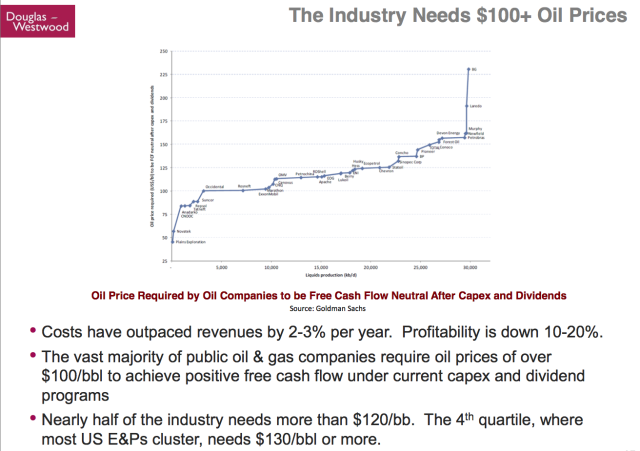 Capital and energy are precisely what will be in short supply as demands on resources, tax revenues and social safety nets skyrocket. This essay is drawn from Musings Report 42. 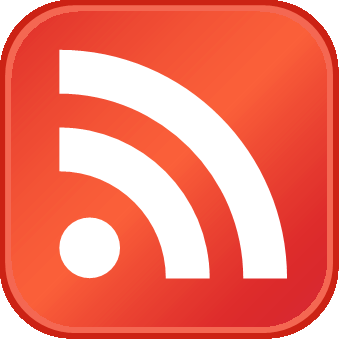 The Musings Reports are emailed weekly to subscribers ($5/month) and major contributors ($50+/annually).